The venue is open at 08.00 on April 27th for all competitors and coaches for registration process. Please bring your valid Passport or ID. ALL ATHLETES AND COACHES MUST BE ON TIME FOR REGISTRATION PROCESS! Don’t be late! All athletes registered for this tournament must have a medical clearance certificate and health insurance for sports practice dated less than six months before the date of the competition, indicating no objections for participating in martial arts competitions. An official obligatory rules meeting for all athletes and coaches will be held at 11:00 on the center mat. No refund of competition fees in any case of wrong registrations, not showing up for fight or being disqualified for overweight or not being at the registration and/or weigh-in or any other reasons. 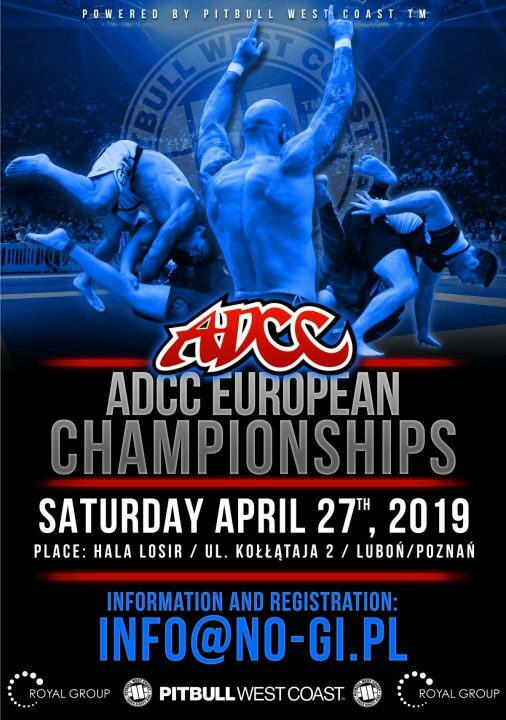 A list of competitors will be published on April 15th on www.adcombat.com and ADCC Europe Facebook page. Please check, if you are listed and if you are in the right division. April 16th, 12.00 p.m. (noon) is the final date for any changes in the lists. To change your division etc. please e-mail [email protected] No e-mail, sent later than the deadline will be considered.